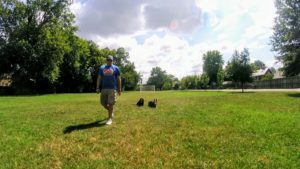 Andrew “Drew” Uhl is a Certified Professional Pet Dog Trainer, Police K9 Trainer, and Instructor with over 10 years of dog training experience. Drew was born and raised in Michigan where he grew up around family dogs. 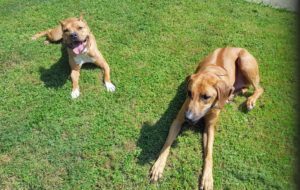 After graduating from Central Michigan University he pursued a career in business during which time he adopted his first love Tilly, a Rhodesian Ridgeback and Pitbull mix. After a few amazing years with Tilly, Drew decided to leave the business world and go into dog training in hopes of helping others experience the joys of dog ownership that he had. Drew started his dog training journey by attending Tarheel Canine’s Professional Trainer School where he became certified in Pet Dog Obedience and Police K9 training, instructing, and handling. Shortly after graduation Drew partnered up and opened a dog training company in North Carolina. 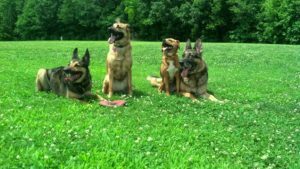 After 4 successful years of training dogs in North Carolina, Drew followed his wife to Memphis and opened Dog Obedience College to bring the joy of well-trained dogs to the Memphis area as well. Khan, a rescued German Shepherd trained in Narcotics detection, protection, and lounging around the house. Niko, an adopted German Shepherd and Border Collie mix, is currently training in Narcotics Detection and Search and Rescue, but Niko’s true favorite is performing tricks. The most recent addition to the Drew’s family is Tater Tot, a 30 lb bundle of energy and licks. Tater Tot was found in the woods and was put on death row due to aggression. Drew decided to save this sweet little pup and during her rehabilitation she fell in love with Khan and Niko and so Drew couldn’t let her go. His wife’s dog May is a German Shepherd mix who specializes in squirrel watching and entertainment. Mambo a 120 lbs. Rhodesian Ridgeback. Mambo’s main job is helping out during training sessions by providing a distraction. And finally, a Pit Bull that Drew is fostering named Tommy. This sweet boy loves attention and being around people. 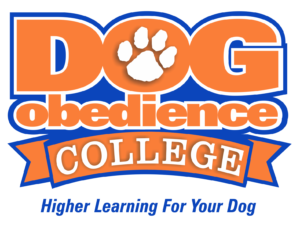 For more information on how you can have your dog trained to be reliable off leash please fill out the Contact Form, email us at info@DogObedienceCollege.com, or call 901-310-5826.